I have been working on some things for clients and I of course have to always look at artwork. I have mentioned before that society6 is one of my first stops to check for affordable artwork for the non-DIYer out there. The great thing at society6 is that you can get these prints in different sizes so you can fit them to the scale of your wall and room. This is definitely a gallery wall that I could picture in my house. 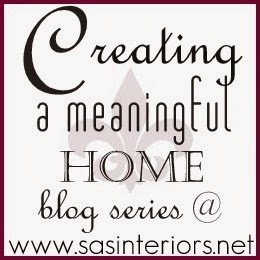 I’m also over at SAS Interiors today to talk about what it means to me to “create a meaningful home”. So head on over and pay Jenna a visit. That’s it for today. Short and sweet. And this Friday, 4th of July, I will not have a pet series Friday but the series will continue next week. I can definitely see this gallery wall in your place! Love the water colours and all the black and white. 🙂 Loved your post over at SAS Interiors too. Yes I can totally see that in your house! Screams Julia!! Love that giraffe, but all of them are great! I love everything about that! oh this is totally you- love it! Love this curated collection Julia. It’s the perfect balance of animals, abstracts, contrast and style 🙂 Love it!! Great products. You put together a great “wall”. Ooh great finds! DYING over that middle abstract. Must have!! I love each and every one of those! Looooooooove the giraffe! And the flamingo really. The color story is beautiful. I love the art from society6. You picked some great ones! Love love love her blog, so fun and she is such a really gracious and lovely person. Very pretty! Loving all the pink lately! I have been looking for some new art for my bedroom so I will def check them out. Julia, I LOVE your blog, it’s so much more than a blog I feel weird calling it that. You have impeccable taste and I love everything you’re doing. I hadn’t heard of Society6 and I’m afraid I’ll never leave the site, the prices are so reasonable and everything is so pretty. 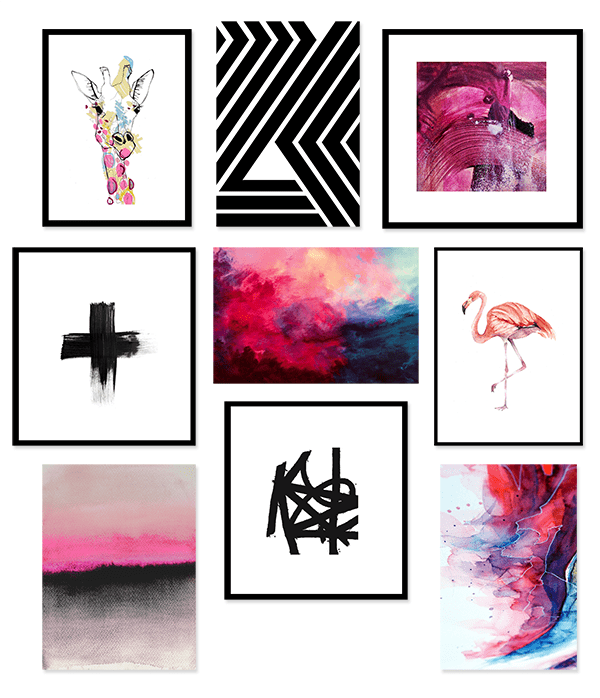 My question is, that looking at the pictures I liked at Society6 there were very specific frames for them and they don’t look like the frames above, did you go with different frames (Ikea maybe?) I don’t love much of a frame and please don’t tell me you made them yourself, but I was just curious. When I order from S^ is there a code to use that references your site? I know this is older material, but it’s new to me so I’m excited. Thank you for some great idea already! Awwww thanks so so much Donna. Yes they are Ikea frames. Love their frames! And unfortunately I don’t have an affiliate link with Society6, I wish. But thanks so much for asking.